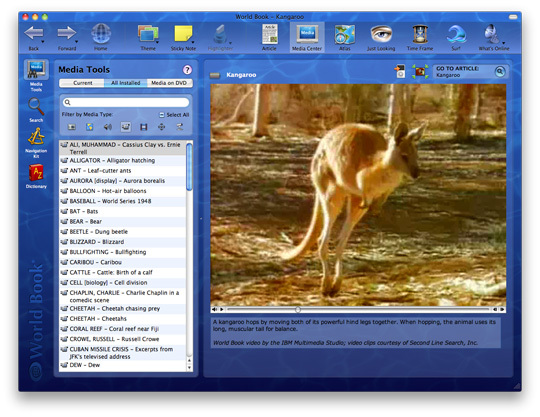 WORLD BOOK offers hundreds of videos and animations, including historical footage and animal scenes. See and hear volcanoes erupting and bees making honey. Watch the Tacoma Bridge collapse. Witness the attack on Pearl Harbor. A Kangaroo video. See how a kangaroo hops by moving both of its powerful hind legs together. When hopping, the animal uses its long, muscular tail for balance.